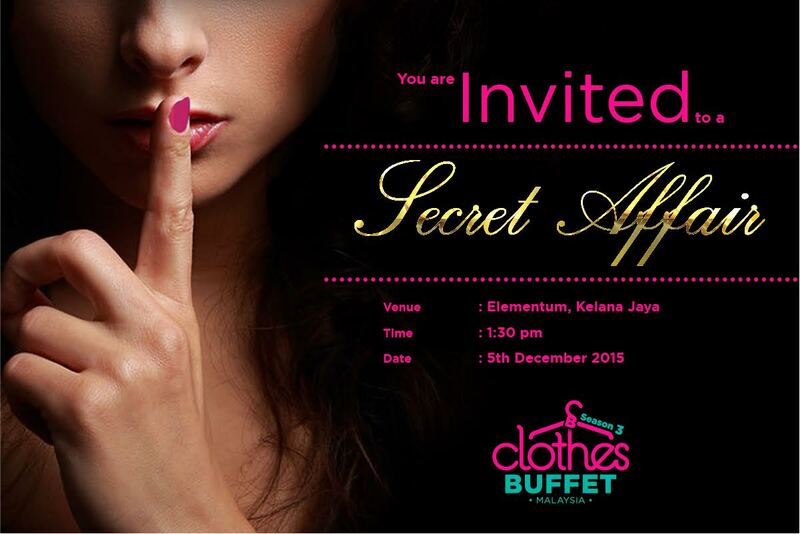 I was so excited to receive the invitation on having a 'Secret Affair' with Clothes Buffet Malaysia, and guess what? On 5th December 2015, I am here at Elementum, Parklane Kelana Jaya, Selangor. 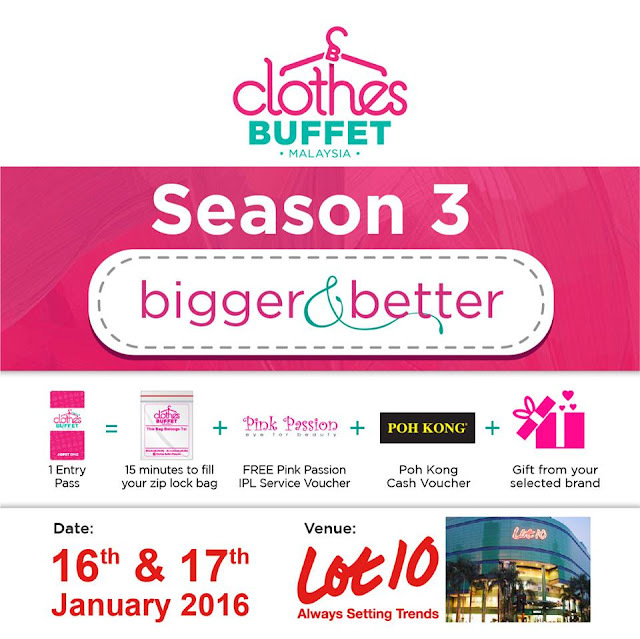 This 'Secret Affair' is an exclusive party for bloggers and members of the media as a preview of Season 3 Clothes Buffet Malaysia, including us (blogger & media) as a first-hand experience shopping at the Mini Clothes Buffet. 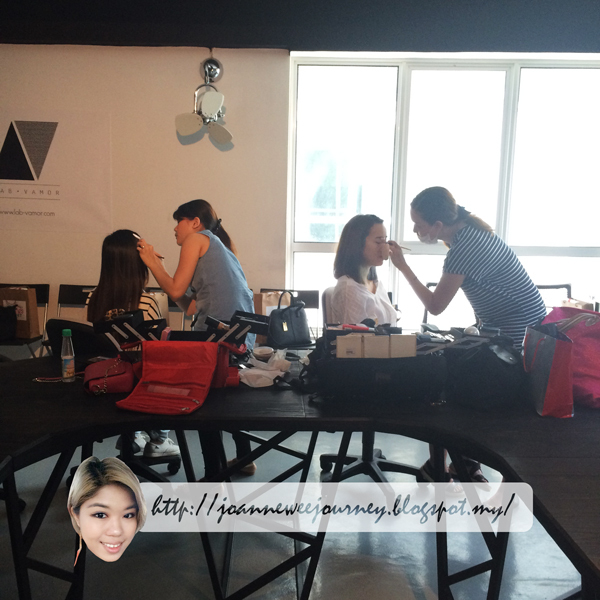 We also had a made over section including hair stylist and make-up session by Lab Vamor. 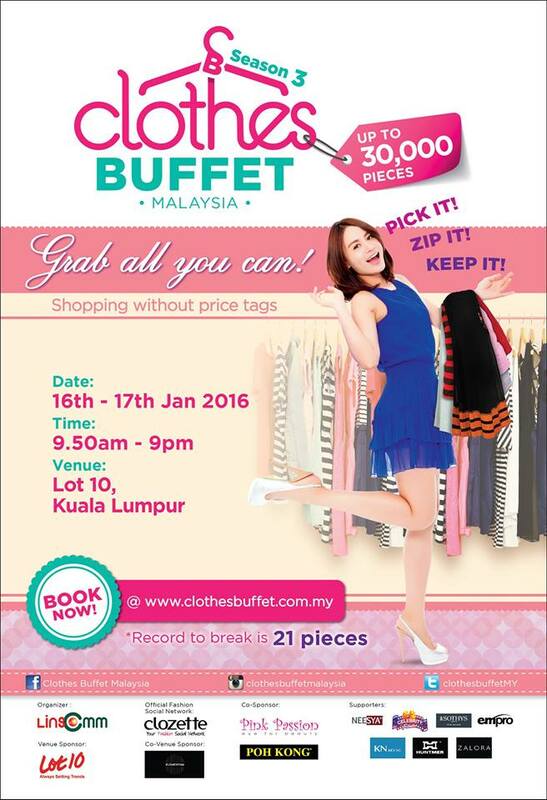 What is Clothes Buffet? "Shopping without seeing the Price Tag". 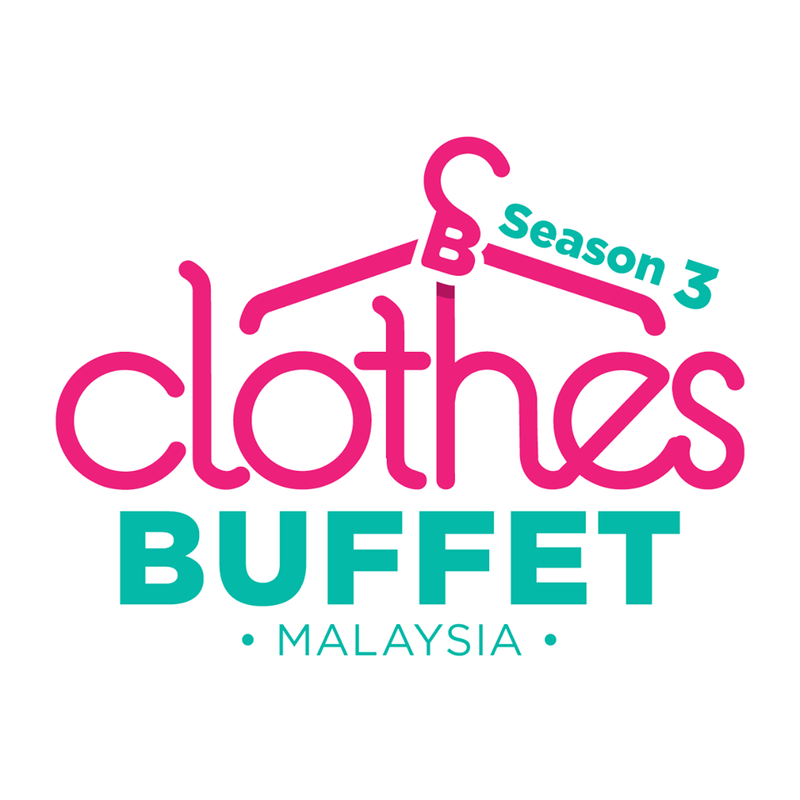 It's really a very unique shopping immersion that is also Malaysia's largest Clothes Buffet, Season 3! Shoppers are presented with access to more than 30,000 pieces in the 'buffet area', what a fantasy world for women, right? It's everybody's concern, am I right? 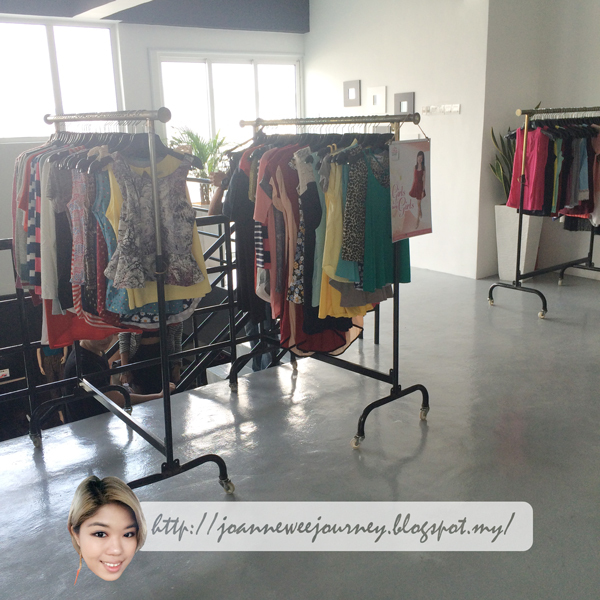 All you need to do is pay a flat fee of RM150. 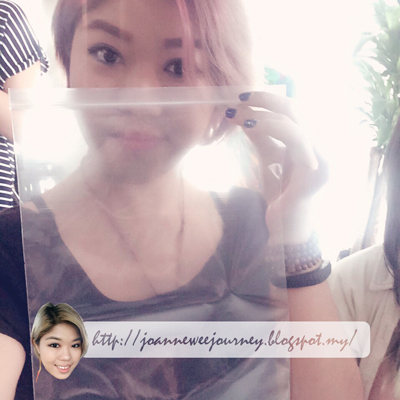 Each person will receive a 35.3cm x 23cm zip-lock bag and you are allowed to grab as many pieces as you can in 15 minutes, and also fit the clothes into the zip-lock bag. 1. 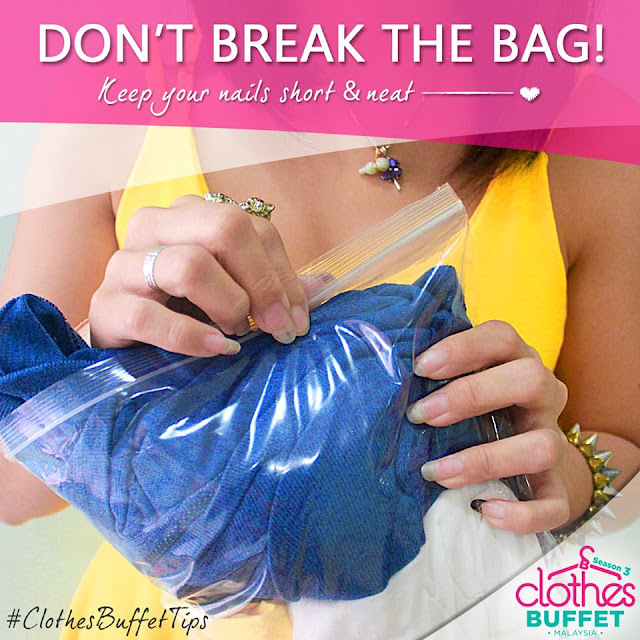 As long as you can fit the clothes you have picked into their zip-lock bag (and be able to zip it), it's theirs to take home. 2. If you break the zip-lock bag, you can't get a replacement bag; you can't bring home a single piece of clothes, so please bear in mind, not to be greedy. The winning designs from each category will be fabricated and manufactured by Key Ng and featured at Clothes Buffet Malaysia. 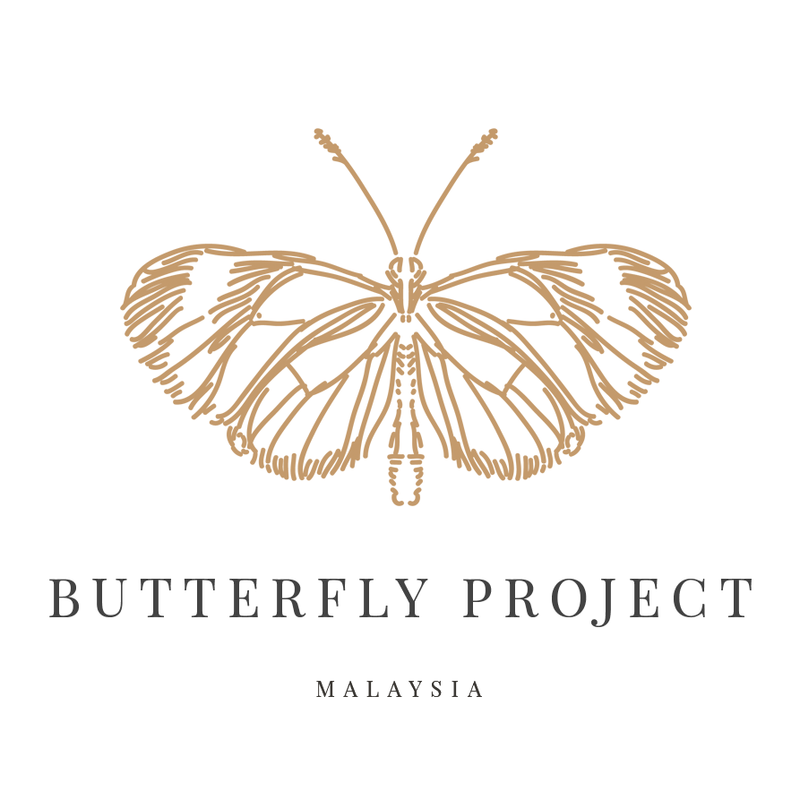 The winning design for this category will be fabricated and manufactured by Huntmer and featured at Clothes Buffet Malaysia and Huntmer series. When is Season 3, Clothes Buffet Malaysia 2016? Time: 9:50 a.m. - 9:00 p.m. The Clock is ticking~! What are you waiting for? 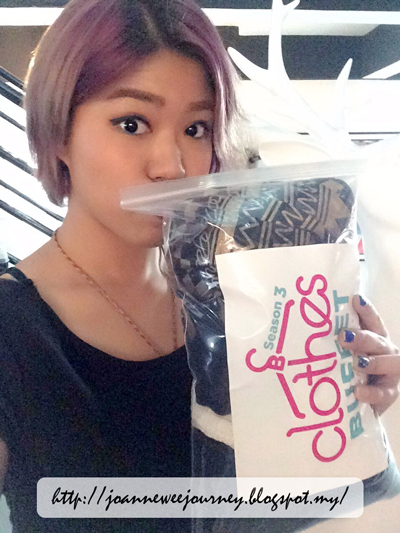 It was really fun at the Mini Clothes Buffet, although I only managed to fit in 4 pieces of tops and dresses, but I feel worth it due to the materials are good, loving them so much, don't forget not to be greedy. 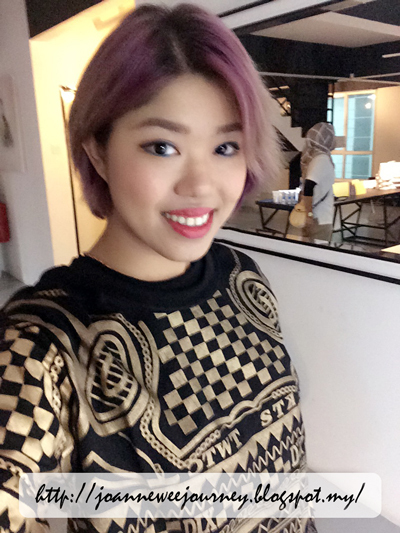 This is 1 of the outfit I grab on that day and used it for the photo shoot section. 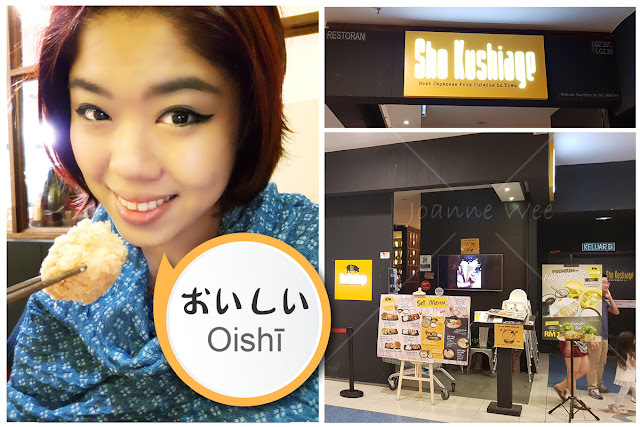 hi joanne, i'm one of the blogger that attended the event as well...if uou don't mind could you shared with me those clothes' pics..i didn't managed to snap coz i was lil' bit late..really appreciate..u could pm me thru fb with the same name here..thnx..
My first time coming across a concept like this. Very interesting ,thanks for sharing!